While many of you out there are busy celebrating Christmas and opening gifts, some are still hunting out some great last-minute deals. 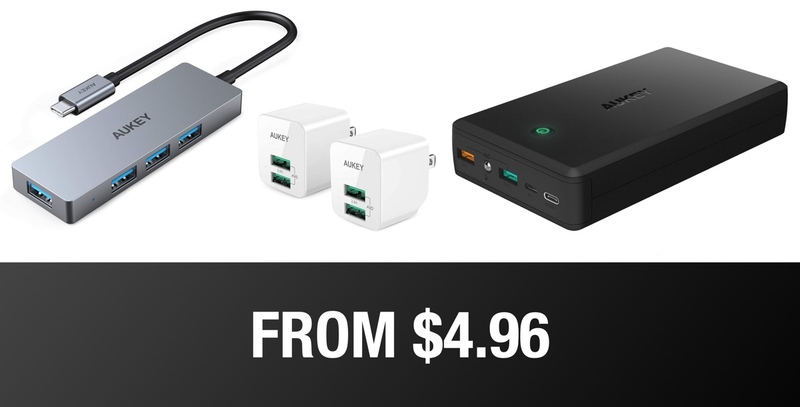 If you are from the latter group, then you’ve come to the right place as AUKEY is blessing everyone with a chance to pick up some high quality mobile accessories at a fraction of a price on the festive day. With deals starting from just $4.96, there are a wide range of products in this list. It includes high-capacity power banks, car mounts for your smartphone, a two pack of USB wall chargers and more. Basically, there is something in there that will definitely appeal to the masses. Last but not the least, these deals will expire on the 29th of this month, giving you ample amount of time to score a good deal. Let’s dive into the products list!